Staying cool at night is essential for a good night’s sleep, yet for many women, the dreaded hot flushes and night sweats of menopause can make going to sleep and staying asleep a nightly battle. 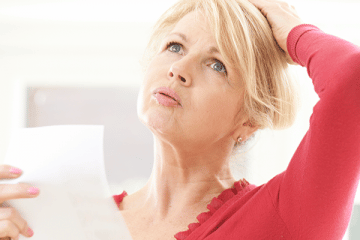 October is World Menopause Month, raising awareness of the health issues facing menopausal women. One of these issues is broken sleep. Up to half of all menopausal women experience sleep complications, according to the US’s National Sleep Foundation, compared with only 15% of the general population. One of the reasons for this is that heat and sleep aren’t good bed fellows. In order to fall asleep, your body needs to drop a degree in temperature, and needs to maintain that lower temperature to stay asleep. Yet as many as three-quarters of menopausal women experience hot flushes and night sweats in bed. 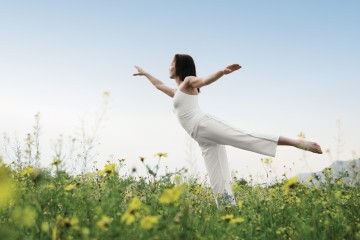 A rise in temperature, which usually happens in the early morning hours, cues the body to wake. If that rise happens during the night because of a hot flush or night sweats, not even deep sleep will be able to keep you in dreamland. Try these seven tips for a cooler night under the covers. You can’t control your body’s temperature, so compensate by getting your room temperature right. The National Sleep Foundation says a room should be between 15.5 and 19.5 degrees Celsius for optimal sleep. During the day, cut direct sunlight by keeping curtains and blinds closed. At night, if air-conditioning isn’t an option, sleep with an open window, and keep your bedroom door open to promote air flow. Add a fan for cross-flow in the room and a wind-chill effect on your skin. (If you’re using a ceiling fan, check from underneath that yours is rotating anti-clockwise, so that air is being pushed down onto the sleeper). 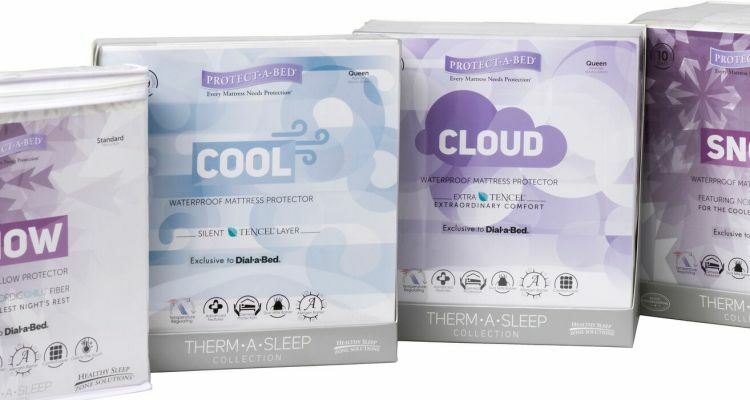 Invest in a cooling mattress cover like those in the Therm-A-Sleep Collection of mattress protectors from Protect-A-Bed. They have a temperature-regulating sleep surface that’s effective even through sheets. The fabric dissipates heat away from your body, while wicking moisture from the skin for speedy, cooling evaporation, helping you maintain an even core temperature all night, no matter what mattress you have. Choose natural fibres for your sheets AND pyjamas. Fabrics like cotton and linen are more breathable and have better moisture-wicking properties than synthetics. Keep both your night clothes and your bed clothes loose and light, since restrictive clothing and heavy blankets can trigger hot flushes and night sweats. It may sound counter-intuitive, but taking a warm (not hot) bath an hour before bed can actually help cool down your body. This is because moisture evaporates from your skin once you get out, cooling you down. And don’t be tempted to take a cold shower or bath; your body will simply heat up to counteract the chill. A relaxing bath will also help reduce stress, a common trigger for hot flushes. Staying hydrated helps your body regulate temperature, so drink water before bed and keep a glass of cold water with ice on your bedside table should you be woken in the night. While a good workout is a great way to reduce stress and ease hot flushes, exercise also raises your body temperature and keeps it up for about two hours. Try not to exercise too close to bedtime; rather hit the gym earlier in the day or evening to give your body time to cool down before you hit the sack. Eating and drinking slightly raises core body temperature, so don’t have your dinner late in the evening. Caffeine, alcohol and spicy foods are known triggers for hot flushes and night sweats, so try especially to avoid these at night. Alcohol can also be particularly heating, as it dilates the blood vessels, making you feel sweatier than usual under the covers.